"Greenwich Left' is half of a diptych with 'Greenwich Right'. See the video showing the painting step by step. 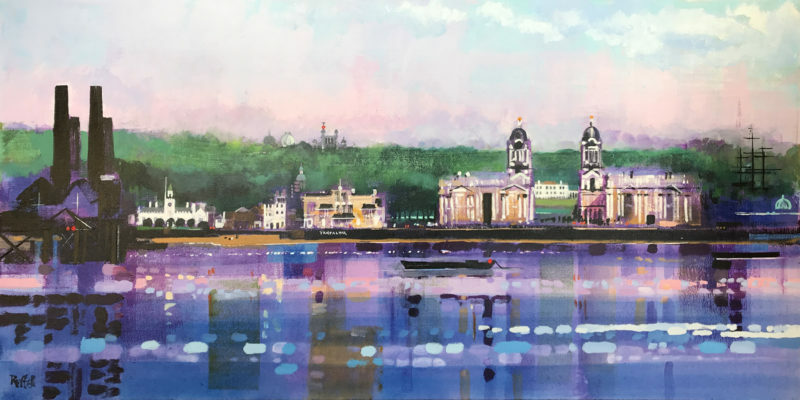 Tags: Cityscape, Greenwich, London, River Thames. 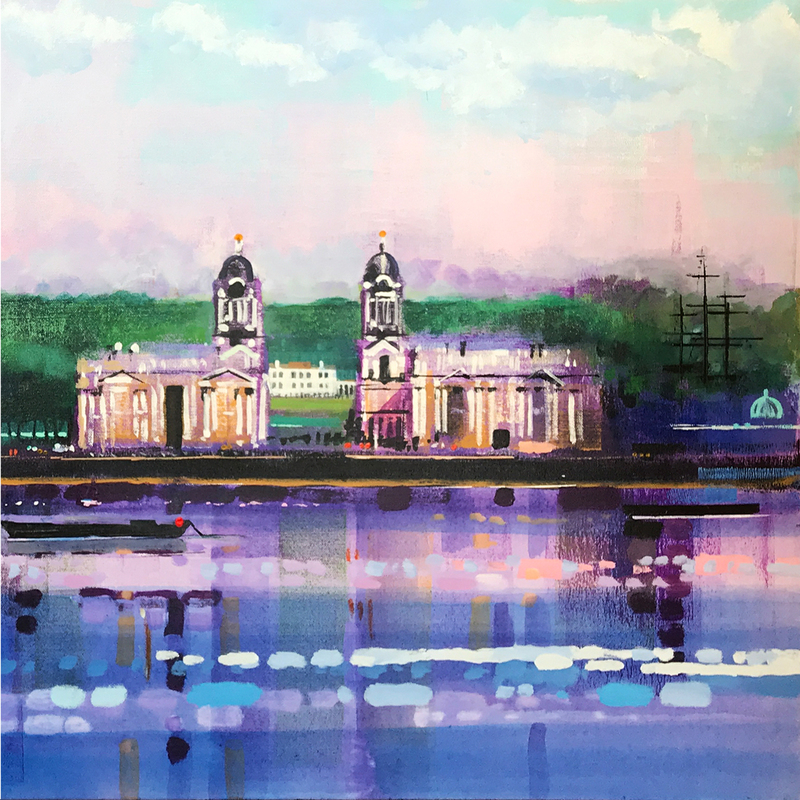 ‘GREENWICH LEFT’ is one of the London cityscape pictures from my portfolio of giclee fine-art prints. Visiting famous places is one of the most fascinating things that I have ever done. Of course I am lucky because I was born in London which is crammed with iconic venues. But over the years I have visited, and painted, lots of other wonderful places. All over the world. Go and see the place whenever possible. Make sketches or plein air painting, take photos, gather background information. Bring back to my studio here in Brighton UK. Then I can paint the original painting. Next I scan the image to make a master digital file. 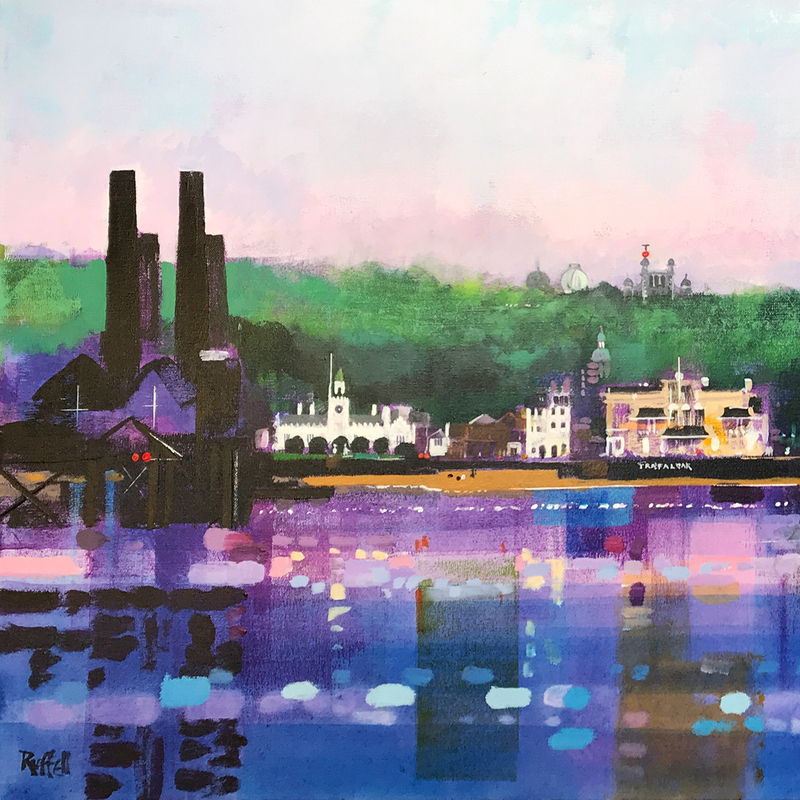 We own a wide format Epson giclee printer meaning that I can make my own test proofs, then print-on-demand to the highest international standards providing a valuable investment for your fine-art collection.